These painting examples were created with Painter 2016 Watercolor Spring Particle brush dab type using Real Wet Buildup Sub Category. Pause diffusion was enabled and never released. If you release it, you get a different look. The link for the brush is below. With Color Expression expressed as “pressure”, it is very important to set rather high color jitter and smoothing levels. This is what gives you the color variation and texture. Without this the colors blend and might appear very dull. The brush is not so easy to control, but you can gain some mastery with familiarization and with practice. Give yourself extra canvas space to crop just the best part of your painting. Experiment with the Watercolor controls, the Particles Common Controls and the Spring Particles Controls to vary the brush looks. If you get a brush look you like, save the variant immediately. If you don’t save it then you will likely never see that look again – ever!! These brushes are very sensitive to brush calibration and every other brush control slider which affects them, with each nuance movement giving you something different. 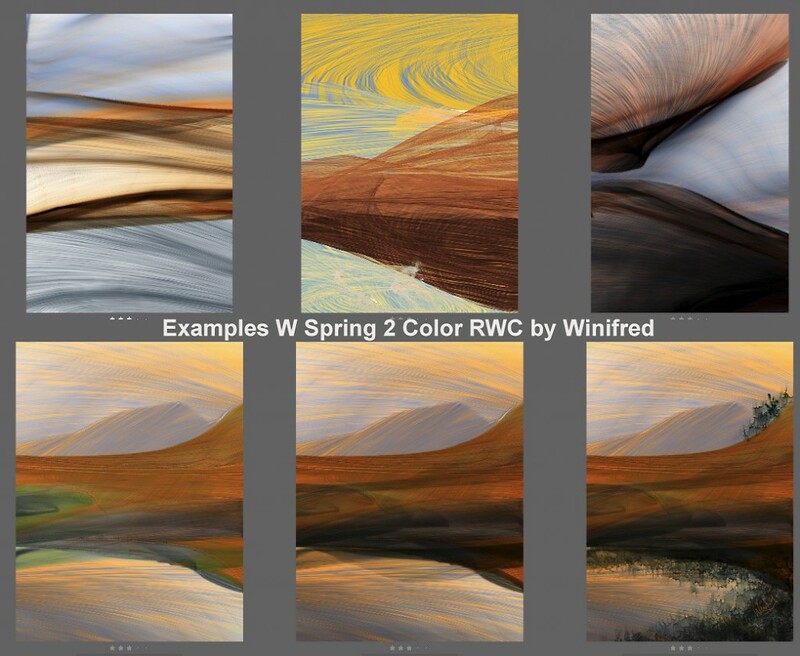 This entry was posted in Painter 2016 Tutorials, Winifred Whitfield Workshops and Training and tagged Corel Painter Online Training, Digital Painting Workshops and Training, Painter 2016 Tutorials, Winifred Whitfield Workshops and Training by Winifred Whitfield. Bookmark the permalink.